The Empty Nesters: Christmas Ham Anyone!?!?!? This is how you make a Christmas ham right?!?!? LOL!! 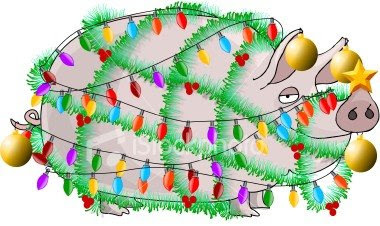 Seriously, this Christmas will be the first year we will be having ham for Christmas in our home. Normally, my husband is not as fond of ham as the rest of us are so when he come home from visiting his Dad one evening and asked me to make a ham for Christmas, I knew something was up. You see, this year is the first year since my husband's Mom passed away and we are trying to make Christmas a little extra special for my Father-in-law. So when the hubby asked his Dad if there was anything special he would like to have for Christmas dinner, he asked for ham. So, if ham is what the man asked for then it will be ham the man gets!! Which is perfectly fine with me because unlike the hubby I LOVE ham!! LOL!! I hope this is OK. Sounds weird but I am a little nervous changing up the menu. (Hi, my name is Carrie and I am a little bit of a control freak!!) But I thought these sides went better with ham. So I ask you all this what will be on your Christmas tables this year? MMM yum! Your menu sounds fantastic. It must be the year for ham, my mom is making one this year too. I'll just tell you, I'd rather have ham any day over turkey. I LOVE ham. And your menu this year sounds more like what my hubby's family chooses every year. Great choice!! Wishing you and yours a wonderful holiday! !